What’s the Best Program for My Young Athlete? We often receive emails with these types of questions. 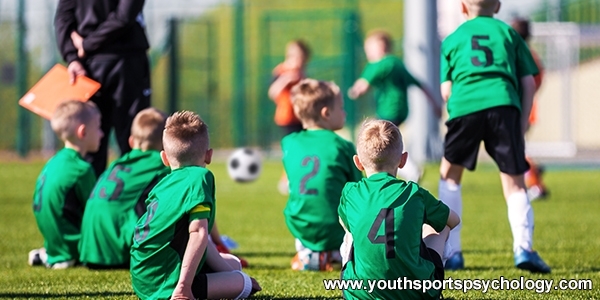 Here at the Ultimate Sports Parent and Kids’ Sports Psychology, we offer a number of programs, all of which boost kids’ confidence, focus, and overall mental toughness in sports. The number one reason your athletes need help with their mental game is when they under perform in games–when they can’t perform freely or with confidence in competition. Read more about The Confident Sports Kid Program here. Read more about The Focused Sports Kid Program here. Read more about The Composed Sports Kid Program here. Read more about The Ultimate Sports Parent Audio & Workbook Program here. Held back by fear, indecision or hesitation because they’re afraid of failing? Are they too hard on themselves? Do they lambast themselves for making mistakes? Read more about Sports Parents’ Top Dilemma: Help Young Athletes Kick Perfectionism and Fear of Failure here. Get ready mentally for competition. Learn about sports psychology in a simple, easy to consume format. Read more about 10-Minute Pregame Prep. Boost Your Self-Confidence With Expert Mental Game Coaching! Expert mental game coach Dr. Patrick Cohn can help your sports kids overcome their sports mental game issues with personal coaching. You can work with Dr. Cohn himself in Orlando, Florida or via Skype, FaceTime, or telephone. Call us toll free at 888-742-7225 or contact us for more information about the different coaching programs we offer! You can learn more about our mental coaching programs here. Top Peaksports Resources To Improve Your Athletes' Mental Game! The Confident Sports Kid Series - Help young athletes improve confidence, focus, and composure quickly. "The Ultimate Sports Parent" - Boost athletes’ confidence, happiness, and success in sports for sports parents! Kids Sports Psychology Network - Discover proven mental strategies to boost sports kids' confidence & success. One-On-One Mental Game Coaching - The quickest way to improve your athlete's mental game. Work one-on-one with Dr. Cohn himself via phone, Skype, FaceTime, or in person from anywhere in the world. For young athletes 12 and older. Parents: Are Your Athletes Having Fun? Parents: Do You Want Kids to Have Fun or Perform Well? Parents, Have Your Kids Wanted to Quit Sports?